Last year you recharged in the River Region, this year you can escape to Melbourne! Download the Information Booklet and Kit List! Girl Guides aged 14-17 from across the State are invited to come along to an indoor camp hosted by River Region. 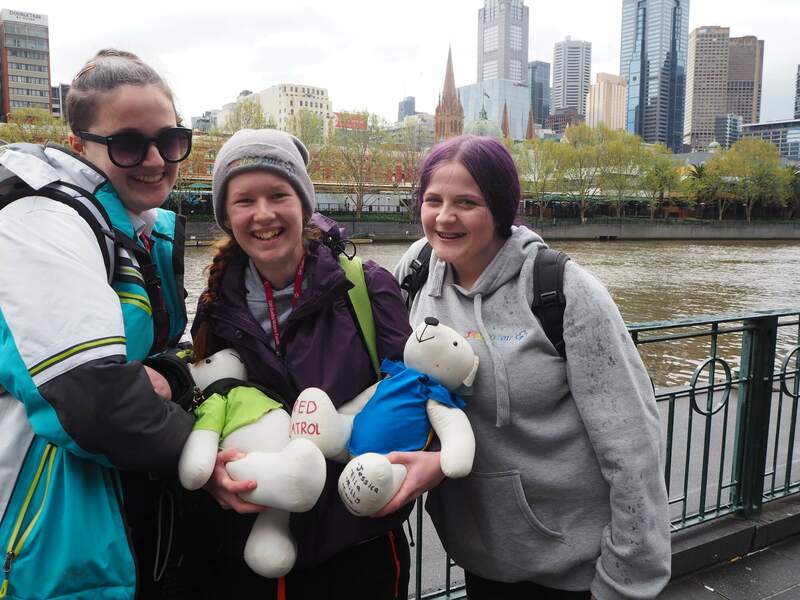 Guides will have the opportunity to experience Melbourne with friends, relax and chill out with other Guides aged 14+, experience ice skating or the ArtVo gallery, problem solve as a team in an Escape Room, and enjoy different foods on a food tour! 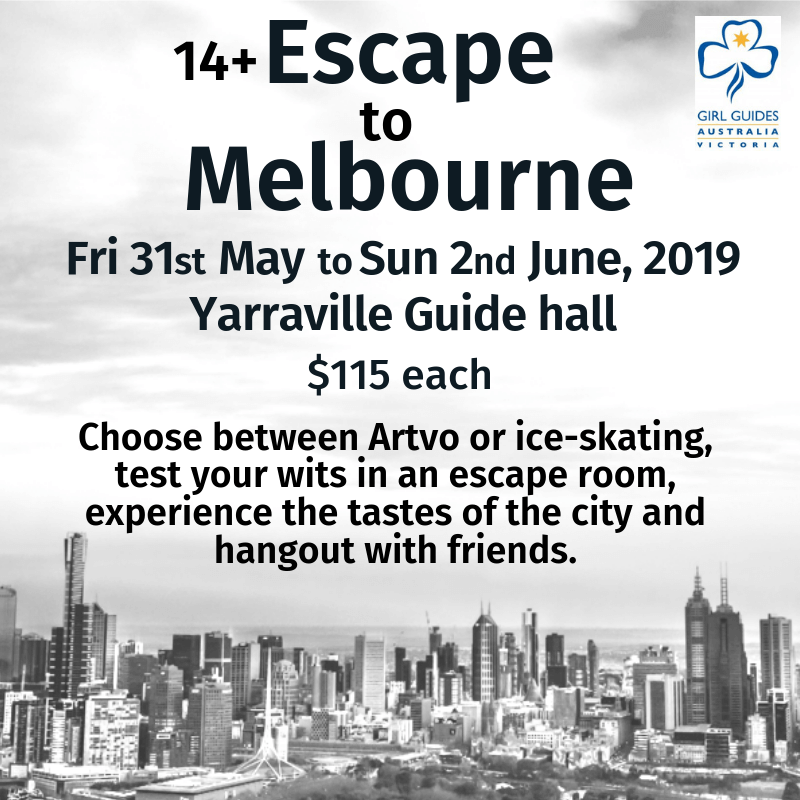 Guides can choose between ice skating or a visit to Artvo on Saturday morning, and will then work together to solve puzzles and problems in an Escape Room! Sunday will consist of a surprise and fun Melbourne food tour. ‘Be Prepared’ to try new things and have fun! In between there will be many opportunities to chill out, relax, and have fun together. Registrations close at 11.59pm on Monday 20 May.